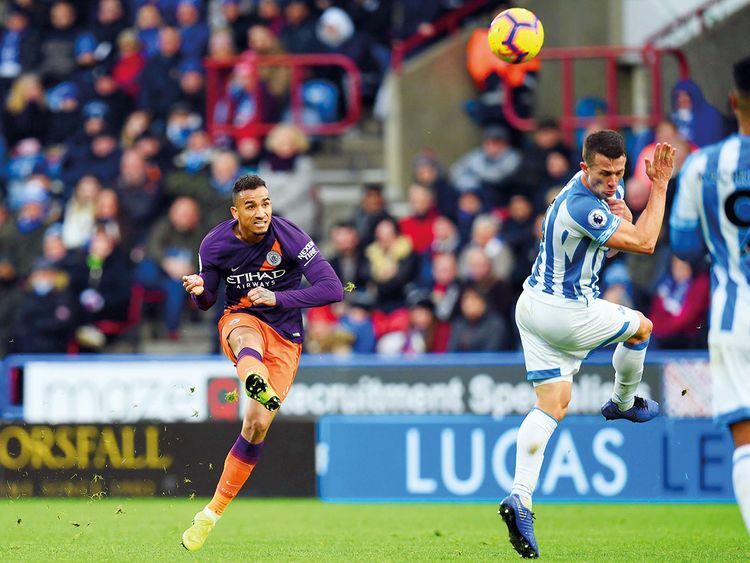 Huddersfield: Manchester City had no problems keeping the pressure on Liverpool in the Premier League title race on Sunday, beating last-placed Huddersfield 3-0 to trim the gap to the leaders to four points. The afternoon began ominously for Huddersfield, with a parting message on the stadium’s big screen by former manager David Wagner — who left his position on Monday — failing to reach fans because the sound didn’t work. Things didn’t work any better on the field as the team, coached on a temporary basis by Mark Hudson, stayed 10 points adrift of safety and heading for a return to the second tier. City did need a huge stroke of luck to go in front, though, with Danilo’s long-range shot maybe heading wide before Christopher Schindler stuck his head out and deflected the ball past wrong-footed goalkeeper Jonas Lossl. It was City’s 100th goal of the season in all competitions.